PCIA – The Wireless Infrastructure Association has partnered with major wireless voice and data carriers and other industry leaders to host a Supplier Diversity Summit at the Wireless Infrastructure Show in Dallas May 23-26. The Summit will take place on May 25. The show is the leading industry conference focused on the companies, equipment and technologies that enable next-generation wireless voice and data communications. The Supplier Diversity Summit is a dedicated day-long event developed to connect a diverse group of businesses with the companies that invest tens of billions of dollars into deploying and maintaining wireless infrastructure each year. Expanding supplier diversity within the industry requires the inclusion of more small, women-, minority- and veteran-owned businesses in the wireless infrastructure supply chain. The goal of this event is to facilitate productive discussions focused on the role supplier diversity plays in the wireless infrastructure industry. Procurement officials from major wireless companies including Verizon Wireless, T-Mobile, AT&T, American Tower and Crown Castle will be onsite at the event for pre-scheduled one-on-one meetings with attendees. Registered participants will be able to access an online meeting scheduling portal to connect with representatives from major telecommunications companies to set up exclusive meetings at the Supplier Diversity Summit. The primary goals of these meetings are to exchange information regarding specific programs, to learn more about the products and services each company provides, and to establish professional relationships that could prove to be mutually beneficial. The Wireless Infrastructure Show, which will take place May 23-May 26 at the Hilton Anatole in Dallas, attracts more than 150 exhibitors and nearly 3,000 thought leaders and industry innovators from across the wireless infrastructure ecosystem. The annual event serves as the premier forum for infrastructure owners and operators, carriers, investment community representatives, government officials, equipment manufacturers and service providers, and others integrally involved in shaping the future of the industry. 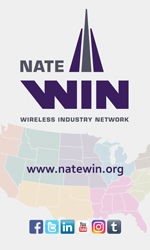 To register for the Wireless Infrastructure Show, please visit the show’s website.